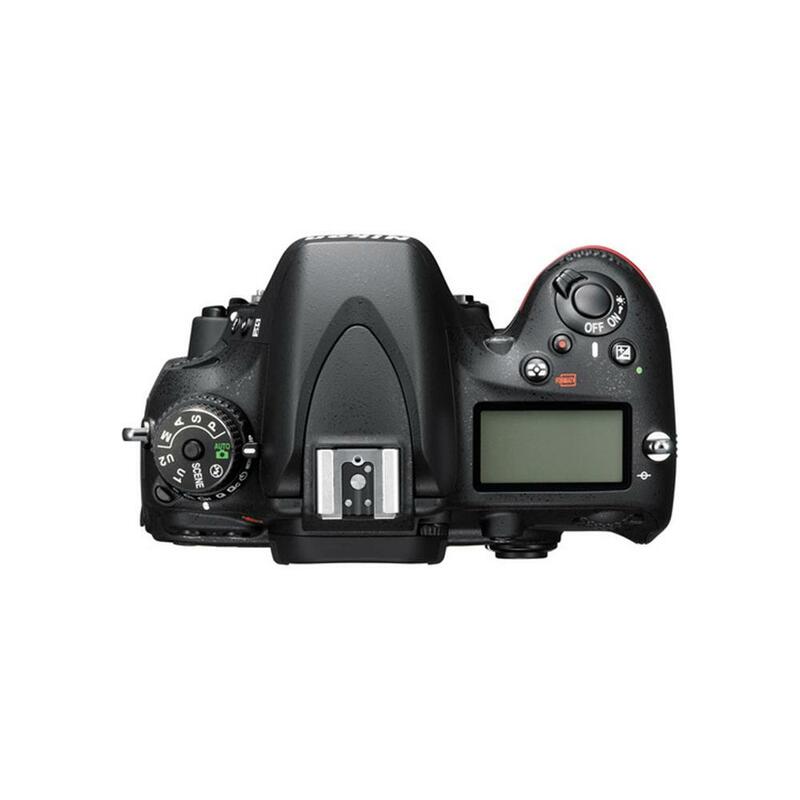 Feel the power of a 24.3 MP Nikon FX-format CMOS sensor in a compact, HD-SLR body. 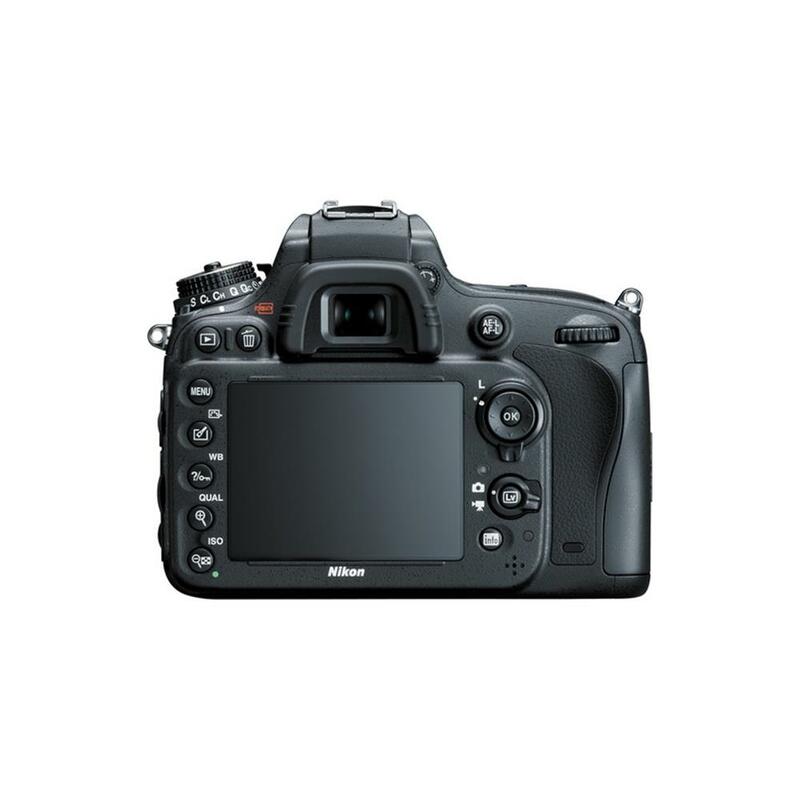 Create dazzling full-frame images rivaled only by Nikon's D800 series D-SLR and 1080p Full HD videos. Nikon's superior 39-point AF system and Scene Recognition System means details will be clear and crisp—for static or moving subjects. HD video quality rivals more expensive dedicated video cameras. Nikon FX-format quality has never been more attainable. Experience the passion of Nikon full-frame photography. Passionate photographers who seek uncompromised full-frame, high-resolution performance rely on Nikon FX-format HD-SLRs. 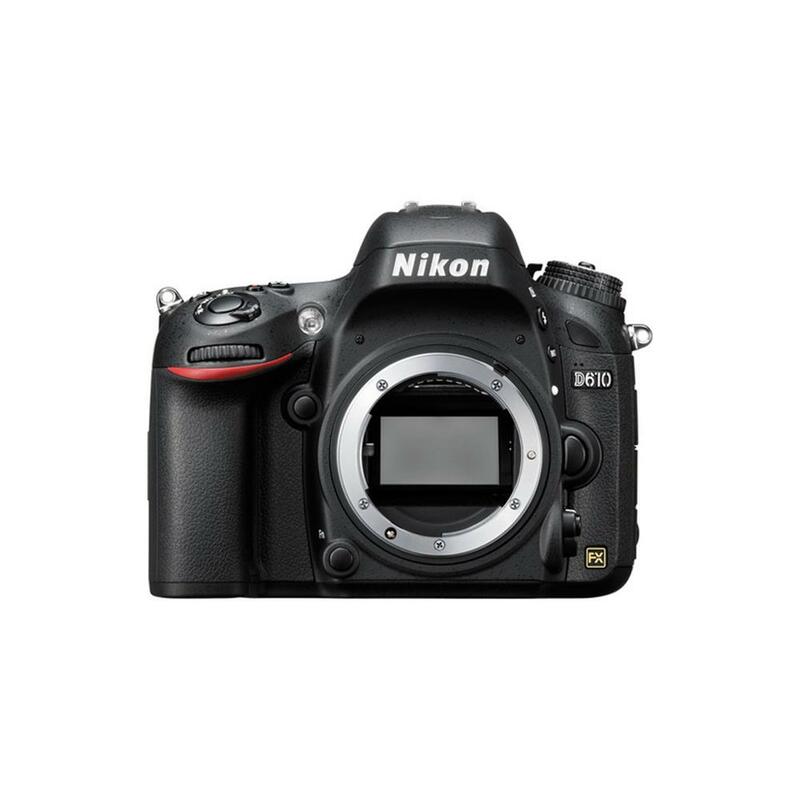 With a level of performance only bested by Nikon's own D800 series D-SLRs, D610's 24.3 megapixel FX-format CMOS sensor, wide dynamic range and high S/N (signal-to-noise) ratio captures every detail with lifelike sharpness and low noise throughout its wide ISO range. Low-light performance is synonymous with Nikon—shoot crystal clear images from ISO 100 to 6400, expandable down to 50 and up to 25,600 for extreme situations. EXPEED 3 processing system manages all that data with remarkable speed and accuracy, enabling up to 6 fps continuous shooting at full resolution in both FX and DX formats. Whether shooting people, landscapes or close-ups—you'll marvel at D610's faithful colour reproduction. One of the keys to capturing razor-sharp images is a fast, precise autofocus system, and the D610 has one of the best. 39 tightly packed focus points with wide-area AF coverage offer endless compositional possibilities. Nine cross-type sensors in the centre offer superior accuracy even when light and contrast are scarce. 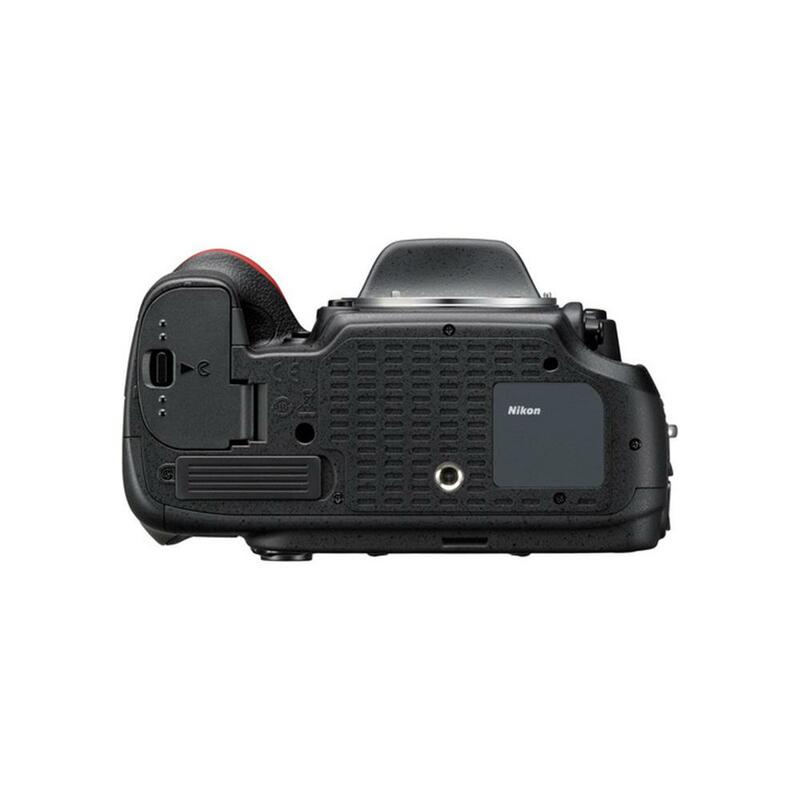 Seven centre focus points work all the way down to f/8 for extended AF functionality with teleconverters and long-reach lenses. Switch between 9, 21 or 39 point AF, allowing for compositional freedom. D610's Scene Recognition System's subject identification and tracking information means enhanced performance by 3D Tracking and Auto Area AF. When shooting photos or HD video in Live View, Nikon's responsive contrast-detect AF activates for accurate fulltime autofocusing. The D610 delivers consistently beautiful images, thanks to Nikon's intelligent Scene Recognition System with 3D Colour Matrix Metering II. Its 2,016 pixel RGB sensor evaluates every scene, taking into account brightness, contrast, subject distance and the scene colours, all within the time it takes to press the shutter release button. That data is then referenced against an onboard image database for consistently accurate exposures, auto white balance, i-TTL flash and subject-tracking autofocus performance. Nikon is committed to developing HD-SLRs that empower and inspire filmmakers and video enthusiasts, and the D610 is proof of that. Shoot 1080p HD videos with selectable frame rates of 30p, 25p or 24p and MPEG-4 AVC/H.264 compression. Bend time with 720p HD at 60p, 50p or 30p for ultra-smooth video playback of fast moving subjects, or create slow-motion footage during post processing. Manually adjust ISO, shutter speed and aperture, activate Live View shooting's fulltime AF with face-priority and subject tracking or manually focus. Experience dedicated inputs for an optional stereo mic and headphones for monitoring sound, still image exporting, uncompressed recording of video via HDMI out to an external recorder, simultaneous live view on external monitors and much more. Multi-area mode Full HD D-Movie gives you compositional freedom using FX or DX movie formats. Enhance your video with the dramatic perspectives and depth-of-field control of Nikon's full line of NIKKOR interchangeable lenses, and you'll dazzle with every video project. The D610's built-in pop-up flash offers up new shooting possibilities that other cameras simply can't match—and not just in low-light situations. Even well lit subjects can benefit from a balanced fill flash for extra depth and dimension. And since the D610's flash integrates with Nikon's i-TTL system, it can act as a Commander and communicate crucial exposure information to two groups of remote flashes across three channels for accurate lighting and exceptional results. When you need the extra power, add an optional accessory Nikon Speedlight for more lighting possibilities. Web Code: 567NIK124 Only: $2499.99 Special order item.